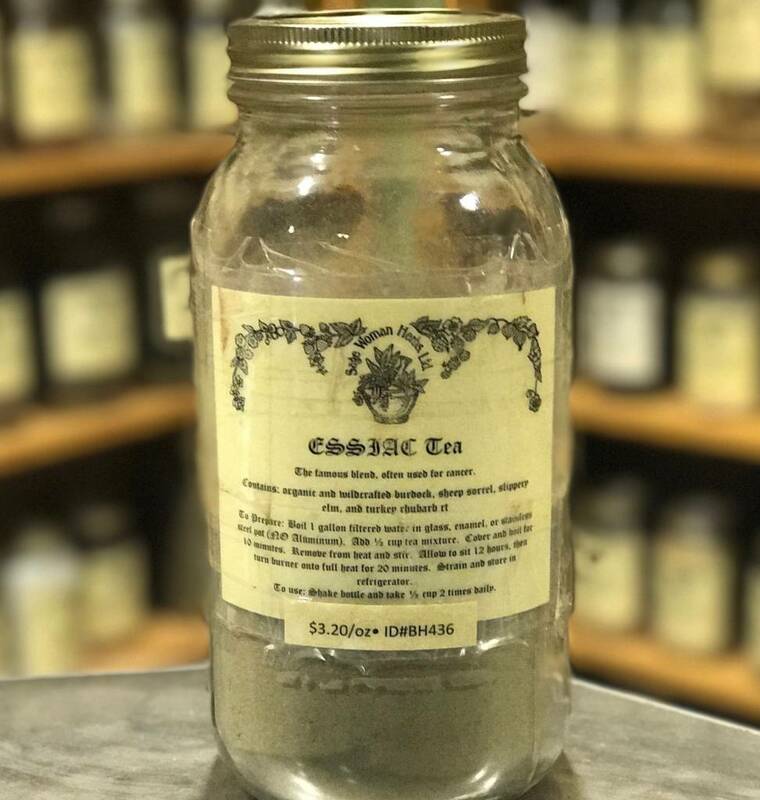 ESSIAC is a Canadian tea that has been at the center of a great deal of controversy and attention in the United States since about ten years ago. News of the tea hit the American press in a series of articles by California chiropractor Gary Glum, and by the late Sun Bear, Native American spiritual leader and editor of Wildfire magazine. The original story of ESSIAC dates back to an unknown time in Native Canadian history, but the formula was gifted to white people in the 1920s. As Dr. Glum tells it, Canadian Nurse Rene Caisse was examining a Native American woman in a clinic where she worked when she noticed the woman's scarred breast. Although completely healed, it was obvious to her trained eye that the woman had experienced a malignancy of some type. Upon questioning the patient, Caisse discovered that she had experienced a full recovery from breast cancer through the use of an herbal tea. Exactly what was in the tea the patient did not know, but Caisse followed the woman to her village to find out. A medicine person gave her recipe to the formula, which she discovered was surprisingly simple. How the formula works is somewhat of a mystery. 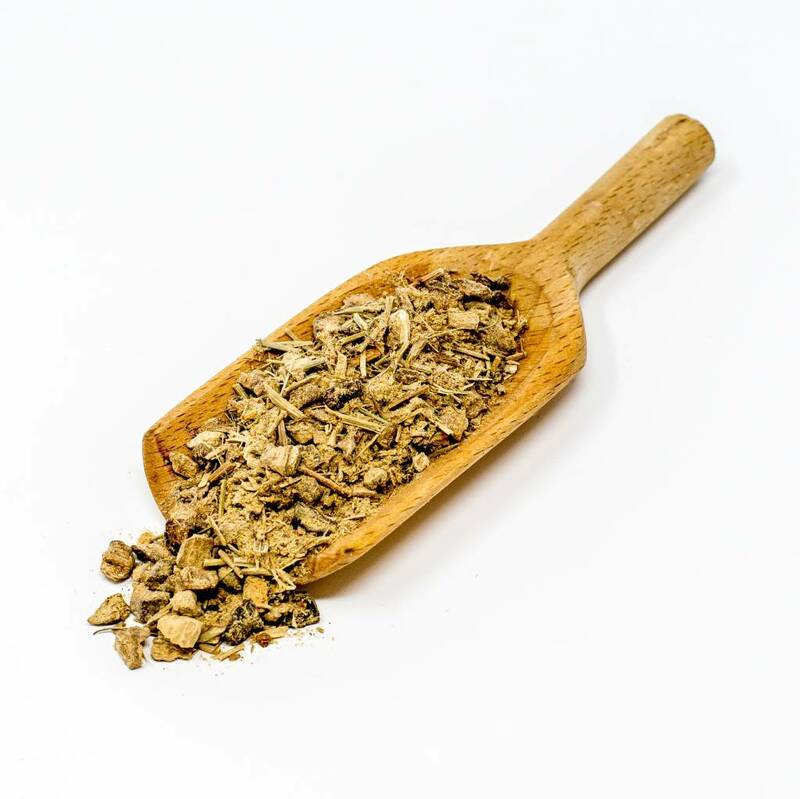 We know that burdock root has been used for centuries as an integral part of herbal cancer therapies. It is a blood and liver purifier, and has the ability to clear harmful acids from the body. It contains inulin, which is a substance that is important in the metabolism of carbohydrates, explaining the use of the tea by some diabetics. Turkey rhubarb is a gentle laxative, containing emodin, which helps to check diarrhea at the same time as cleansing the bowels. It is a mildly stimulating liver and gall bladder cleanser. Slippery elm, we know, is a soothing demulcent, with the ability to neutralize stomach acids and absorb foul gases. It soothes irritations and inflammations of the mucus membranes and draws out impurities in all parts of the body. The use of sheep sorrel in the tea is of great importance. Being the largest component of the tea, it has antiputrification properties, is a blood cleanser and a diuretic, and also destroys parasites. We at Sage Consulting do not recommend that cancer sufferers pin all of their hopes for a cure on this simple formula. However, having carried this tea for many years in our shop, we have witnessed amazing results with some of our customers. Unfortunately, most of the purchases of the tea have been made by relatives or friends of cancer sufferers, and written testimonials have not been forthcoming. If you have personal experience with the tea, we would greatly appreciate your written testimonials. To make the tea: boil 1 gallon filtered water in a non-aluminum pot. Add 1/2 cup tea mixture. Cover and boil for 10 minutes. Remove from heat and stir mixture thoroughly. Cover. Let sit for 12 hours, then turn stove to full heat for 20 minutes. Strain into sterile bottles and tighten caps. Allow to cool. Refrigerate. Directions for use: Shake bottle. Measure 1/2 cup of water and 1/2 cup tea into a pot. Heat. Mix and drink 1-2 times a day on an empty stomach. Contains: burdock root , sheep sorrel, turkey rhubarb, slippery elm bk.